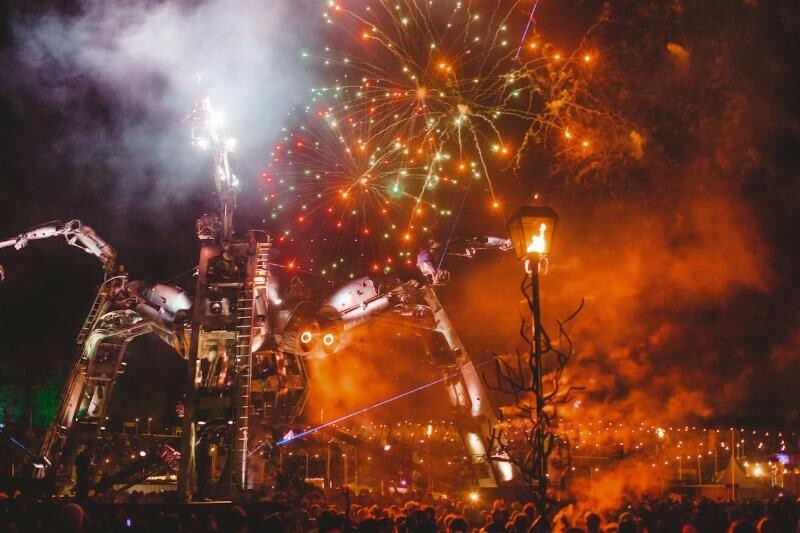 Arcadia Spectacular and their mechanical spider, built in Bristol from 50 tonnes of recycled military hardware, are set to land in Bristol's central Queen's Square on the 4th and 5th September. This will be Arcadia's first ever city-centre event, fusing innovative music, circus, sculpture, special effects and huge scale, recycled biofuel pyrotechnics to deliver a big weekend on home-turf. 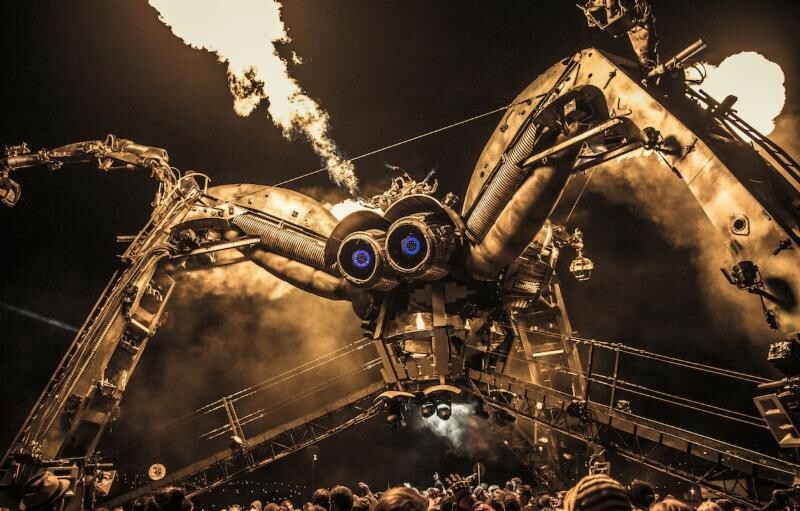 Fatboy Slim, Chase & Status and Skrillex are amongst the artists to have played in the giant spider, with Disclosure and Seth Troxler DJing to an estimated 60,000 strong audience at last year’s Glastonbury Festival. 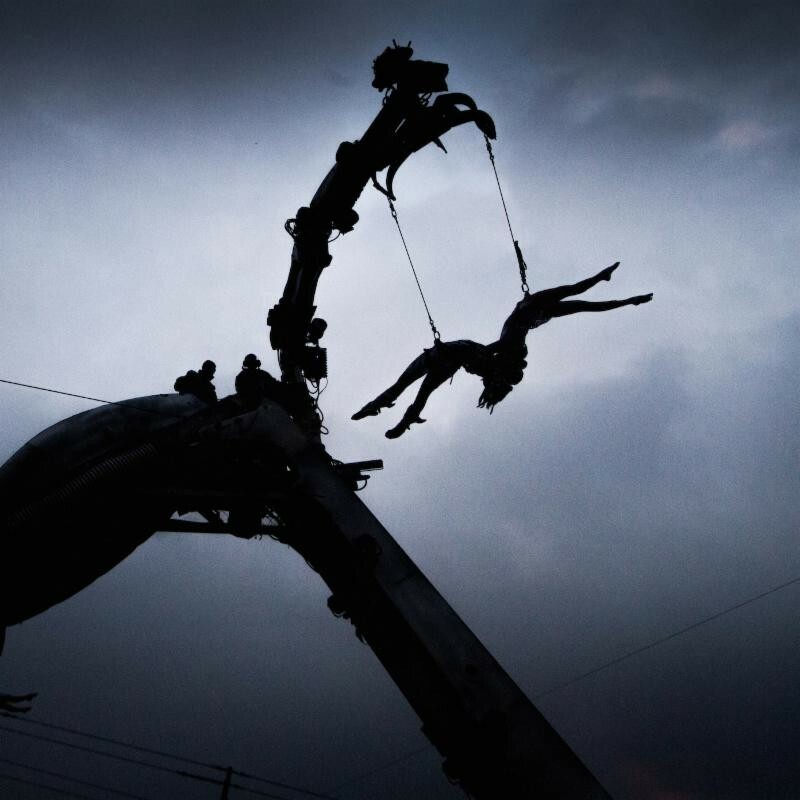 Recently returning from a show out at Miami's Ultra Festival, Bristol will be witnessing the 'Metamorphosis' show, a brand new performance which will debut at the Glastonbury Festival in June this year. The show will combine technology, pyrotechnics, acrobatics and key figures of the electronic music scene. "We're hugely excited to bring Arcadia home to Bristol for our first inner city UK show. Bristol and its community have been so influential in our evolution, and it's a real honour to play such a key role in the city's life during such an important year. We hope it will be a memorable moment of unity that celebrates the inspirational possibilities of what can be done with the world's waste." Arcadia 'Metamorphosis', is being brought to Bristol as part of the city's year as European Green Capital. It will see the conversion of Arcadia's signature flames to biofuel - creating the world's first recycled biofuel pyrotechnics system. It's one of six projects funded by Arts Council England's Exceptional Award, as part of Bristol's year as European Green Capital. The event will be produced by Team Love in partnership with Brisfest. For more info, check: arcadiabristol.com.